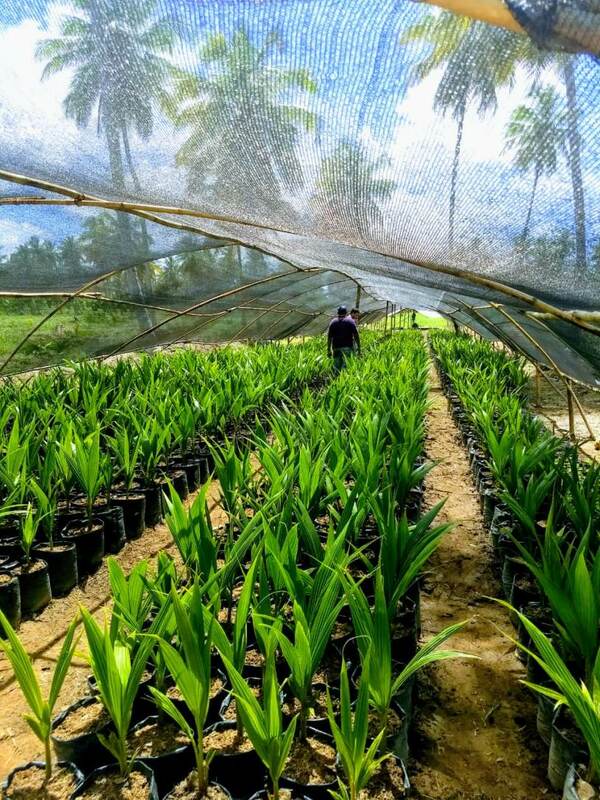 In Pomeroon-Supenaam, Guyana, Pomeroon Trading is a sustainable coconut and spice company in the Caribbean that restores degraded land with sustainable coconut farms. 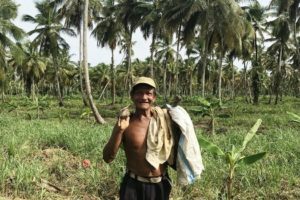 Since 2017, the company has restored around 400 hectares (1000 acres) of degraded farmland on the northeastern coast of Guyana, a country historically known for high-quality agricultural products. Central to Pomeroon’s success is Climate Smart Agriculture, building a more resilient food system that produces more but pollutes less. Pomeroon, an Initiative 20×20 financial partner, prides itself on being a climate-sensitive enterprise. Facilities on the firm’s Stoll Estate run on solar power, and Pomeroon has invested in natural mangrove and man-made flood defenses to adapt to sea-level rise and severe weather. The company never cuts down forests to expand its plantations, and will soon seek Rainforest Alliance certification. Instead, it restores degraded land by planting high-yielding coconut trees. Pomeroon’s 65,000 new trees will sequester up to 2,000 metric tons of CO2-equivalent per year. Pomeroon has a strong track record in helping to revitalize local communities. 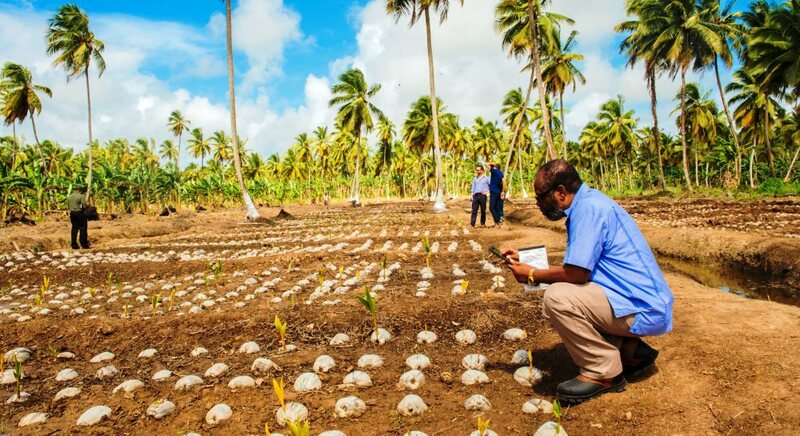 The company, which directly employs over 50 local people, has also constructed one of the Caribbean’s largest private coconut seedling nurseries to increase its overall productivity and accelerate its restoration work. The local smallholder coconut producers who work with Pomeroon can also access and use the nursery through a cooperative program. The company has also sponsored upgrades to two local primary schools and a women’s empowerment seminar. After decades of degradation, Pomeroon knew that only biodiversity could restore the land to its former productivity. 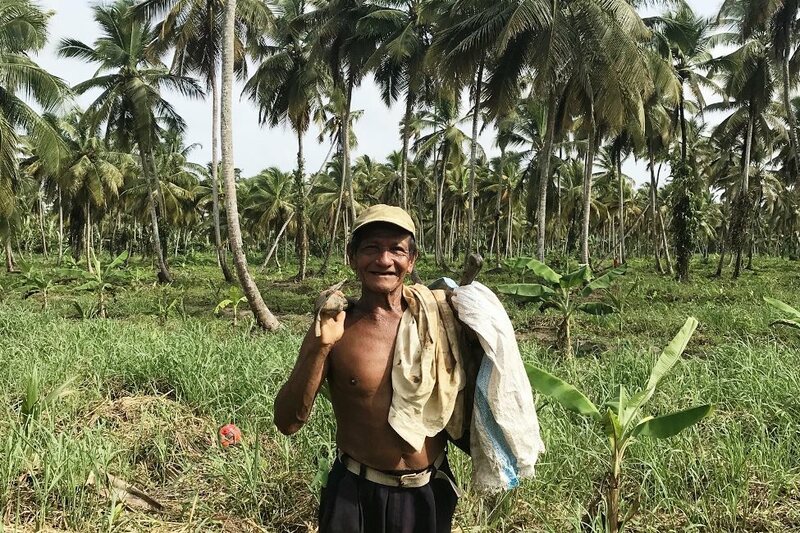 The firm’s cutting-edge intercropping program mixes several other crops, from bananas to turmeric, moringa to passionfruit, with its coconut trees. Intercropping not only provides diversified sources of revenue but is good agronomy: It combats surface erosion and improves soil fertility. Restoration is a key aspect of Pomeroon’s economic success. The company is now investing in processing facilities that can produce coconut water, coconut by-products, and spices, tapping into a coconut market that is growing 10% annually. The coconut water market alone could be worth $8.3 billion by 2023. Its river-front location also makes Pomeroon well-positioned to access export markets, including the growing North American coconut water market and other Caribbean-focused markets. By adding value to its raw products, Pomeroon is creating an ecologically and economically sustainable business model that restores degraded land while turning a profit. All photos courtesy of Pomeroon Trading. See Pomeroon website. Follow Pomeroon on Facebook and Instagram. This article originally appeared on the Initiative 20X20 website. Reprinted here with permission.